Steampunk games that feature steam-powered machines and settings in an alternate history of the Wild West or the industrialized British era of the 19th century are rare. Maybe even rarer than cyberpunk titles. Although some games have steampunk elements—just think about the retro-futuristic enemies of Torchlight or the atmosphere of Professor Layton—we focused on steampunk-specific titles for today's Show Us. Originally released for the DreamCast in 2000, this JRPG focuses on a young pirate in a victorian fantasy world with colossal airships. The final boss of Chaos Engine goes by the same name in Bitmap Brothers' top-down run-and-gun action game from 1993. Rise of Legends, Big Huge Games' real-time strategy title, adds magic and classic fantasy elements to its industrial world. 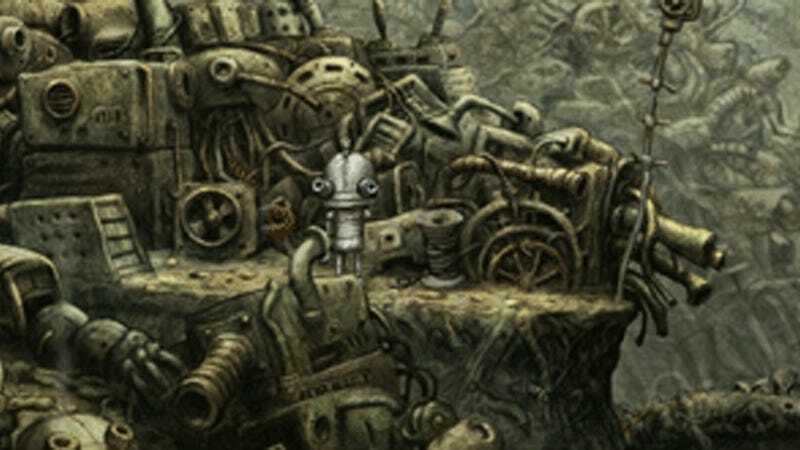 The point and click puzzle game Machinarium has probably the most beautiful scrapheaps in video game history. A real hidden gem of the SNES library, Wild Guns takes place in an alternate, futuristic Wild West with giant, sluggish robots. The duality of magic and industrial revolution form the world of Troika Games' 2001 RPG classic. With the memorable opera scene and a boss fight against a steam-engine, the industrial era of the 19th century is maxed out in Final Fantasy VI. This point-and-click graphical adventure, made by Divide By Zero and released in 1996, is basically Jules Verne: The Game. With three amazing stealth games and a fourth one coming, featuring a late medieval setting with strange machines, the Thief games don't really need an introduction. The Japanese role-playing series from Media.Vision have already achieved cult status. Similar to Wild Guns, all the games are set in the Wild West with even more bizarre science fiction elements. CAVE's horizontal scrolling arcade shooter also has a beautiful steampunk setting, which is pretty uncommon for these type of games. Dishonored and Bioshock Infinite prove that even though these games are rare, the genre won't go away anytime soon. Are there any other steampunk games that gave you chills? Or do you have great memories from one of these? Post'em below.